Sherman Oaks Beauty - Location, Condition, Price! 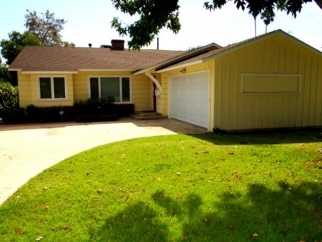 Wonderful Sherman Oaks Neighborhood - Close to Shops, Restaurants and Transportation! Beautiful and Charming! Extensively Updated. Completely Remodeled Kitchen. Wood Beam Vaulted Ceiling in Living Room. Quality Hardwood Floors through-out! Central A/C and FA Heating. Both Bathrooms have been beautifully updated. Move-In Condition! Interior Features 3 Bedrooms and 2 Bathrooms - Appraiser Measured the home Square Footage to be approximately 1842 Square Feet. Exterior Features Wonderful Family sized Backyard features a Multi-tier water Fountain. Updated and Featured on the "Do It Yourself" Television Show - "Extra Yardage"! Special features include a Wood Burning Pizza Oven and Smoker!